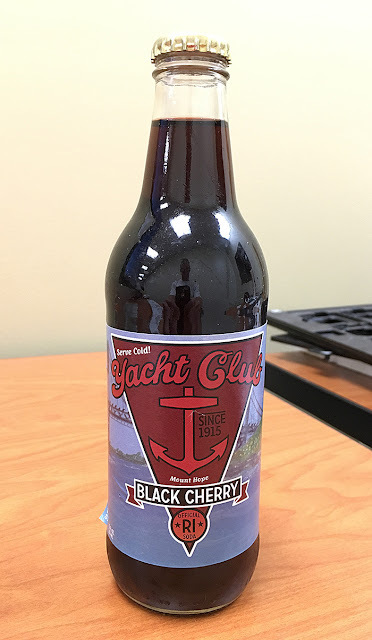 Brand: Yacht Club Black Cherry. Review: This had a lot of KICK for a black cherry soda. It wasn't necessarily a fantastic flavor, but it was a lot of it - it COMMITTED to a flavor, which I can respect. A little odd chemically taste at the end, so it wasn't the best. Still, not horrible. I'll rate it just below average.